← CEI Podcast for February 12, 2014: Are Cell Phones Coming to an Airplane Near You? Yet another snow storm shut down the federal government for a day, but that didn’t stop both the number of new regulations and the Federal Register’s page count from topping last week’s totals. Last week, 56 new final regulations were published in the Federal Register. There were 55 new final rules the previous week. That’s the equivalent of a new regulation precisely every three hours. So far in 2014, 327 final regulations have been published in the Federal Register. At that pace, there will be a total of 2,637 new regulations this year. This would be the lowest total in decades; this will likely change as the year goes on. Last week, 1,516 new pages were added to the Federal Register. Currently at 9,079 pages, the 2014 Federal Register is on pace for 73,218 pages, which would be the lowest total in five years. Rules are called “economically significant” if they have costs of $100 million or more in a given year. Six such rules have been published so far this year, two of them in the past week. 35 final rules meeting the broader definition of “significant” have been published so far this year. So far in 2014, 61 new rules affect small businesses; 10 of them are classified as significant. This week’s economically significant rules both come from the Energy Department. 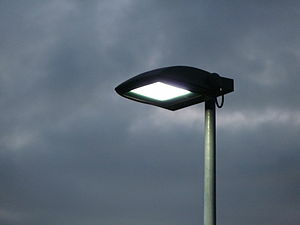 New energy conservation for external power supplies and metal halide lamp fixtures have combined estimated costs ranging from $612 million to $883 million. The Coast Guard is relaxing some of its citizenship requirements for fishermen. New handling regulations for Irish potatoes. Flight crew may no longer use cell phones in the cockpit. If you are an international weapons trafficker, you should read this new regulation.